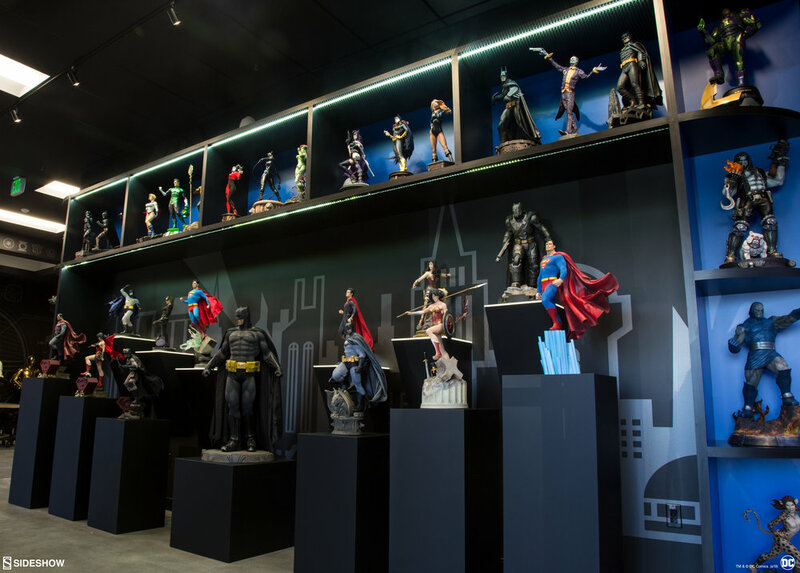 Sideshow Collectibles CEO Greg Anzalone oversees toys with characters from Marvel, Star Wars, Harry Potter, Dreamworks Animation, Lord of the Rings and huge film franchises. I was thrilled as a fan of many of these films and the big business around them to have a discussion on the fascinating world he lives in at the workplace. Film/TV toys are awesome and I admit to loving them myself. I would probably decorate my closet full of more of them but I need clothes in there. However, they are also in the end, products to sell. How have you marketed your toys into being bestsellers? 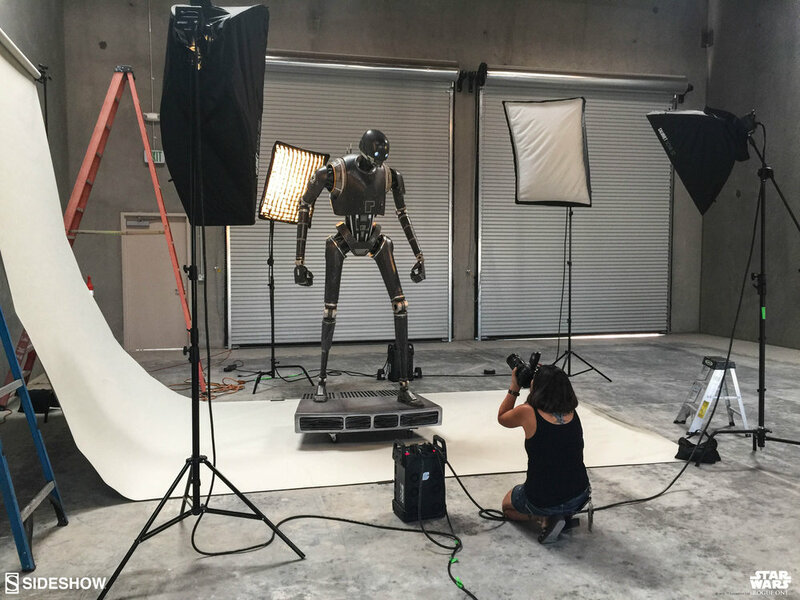 Here at Sideshow, we have had the pleasure and privilege of being a part of this industry for 25 years and we’ve had one constant since day one – follow the love. We have a giant mural in our studios that says “Connecting fans with the characters they love” – it’s as simple and sincere as that. There has to be a passion for this, because collectors can sense that sincerity. They know every single character we explore is one we care about and every new project is a passion project. 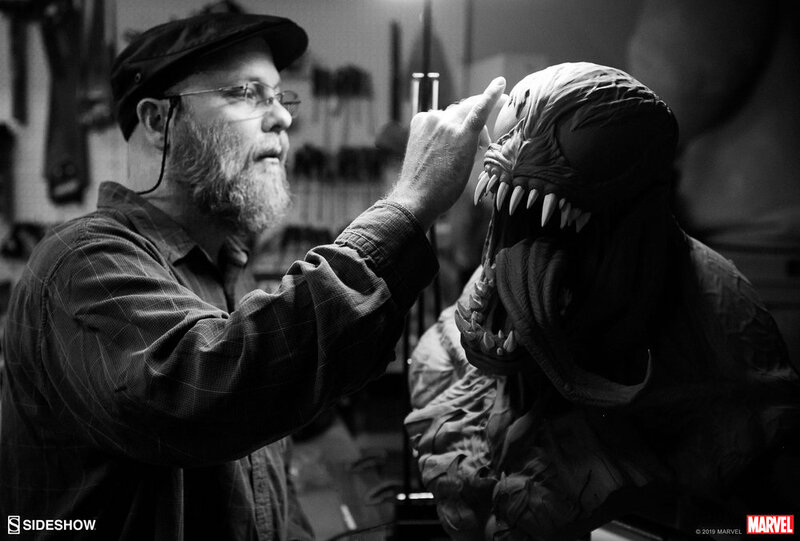 Our main goal from a marketing standpoint is to find ways to share that passion with fellow fans and collectors, whether that’s by creating behind-the-scenes videos showing the countless months of work that go into bringing these characters to life, or by simply visiting shows with our artists, chatting to collectors, and sharing some stories about the journey each piece takes. How do you remain innovative with your toy designs so old franchises are new again for younger generations of fans? Everything we make is limited edition, so we’re always planning ahead. As artists, we always want to improve, and as each piece might only have a run of a few thousand units or be available for a few short months, we’re always faced with the challenge of coming up with a new, fresh, or interesting take on a character. Luckily, we live in a wonderful time to be a pop culture fan! There are so many incredible new movies, animated shows, comic books, and novels from which to draw inspiration..
We also have an amazing collaborative relationship with our licensing partners. Over the years we’ve had several opportunities to do our own interpretations of much-loved characters. Versions that are utterly unique to us. One episode of The Toys That Made Us on NETFLIX covered how Star Trek toys flipped from being popular into driving a company into money troubles decades ago as well as Lucille Ball having to sell her production company’s rights to the show over to Paramount because it wasn’t lucrative for her. Some of it was due to Star Wars increasing in popularity. What are your long-term plans for your lines of toys so this doesn’t happen to any of them? It always comes back to following the love. Sincerely, it’s what motivates us as artists and as businesspeople. Our company is always evolving because these characters are always evolving. 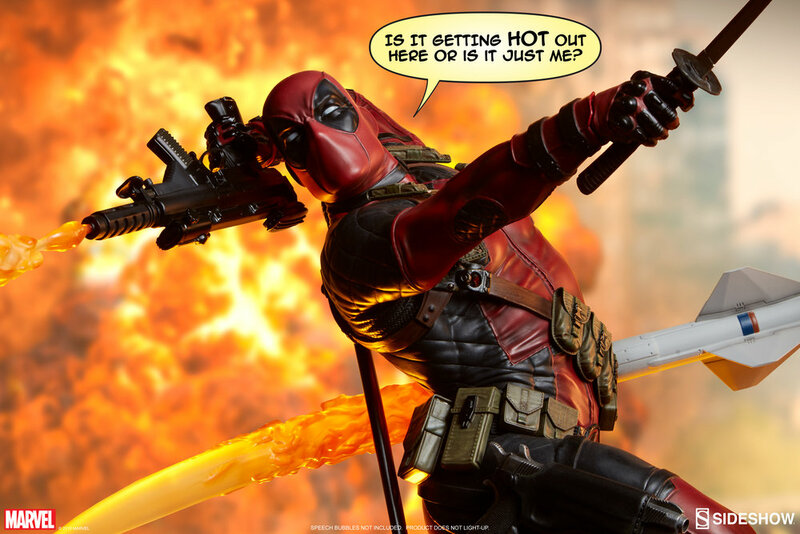 Take Batman for example; at any one time we might have several movie versions (from Adam West to Ben Affleck), multiple comic book inspired versions, and several utterly unique Sideshow interpretations. 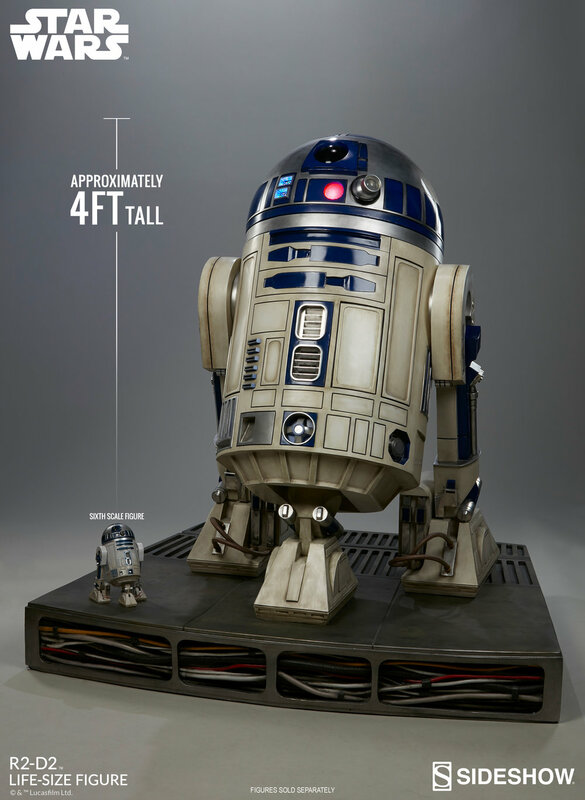 These might vary from 1:6 scale posable figures to life-sized pieces. We also may have prop replicas and accessories as well as products created by our friends and distribution partners – and all of this is limited edition! 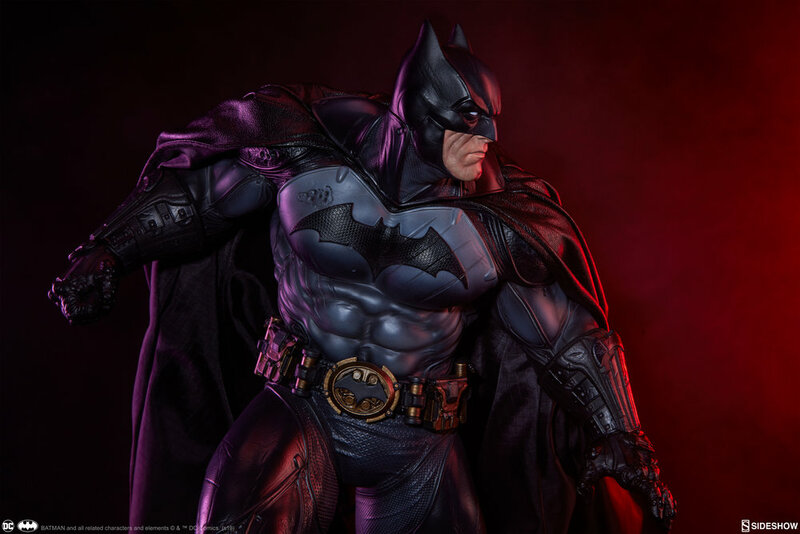 So, you might have 20 different Batman products in stock right now, but there could be another 20 on pre-order. Another 20 in development. All different and all unique. And that’s just one character! How do you work on the total package—literally—toys to the actual packaging, so it’s all eye popping and amazing to impress the truest, most critical fans? It takes a village. 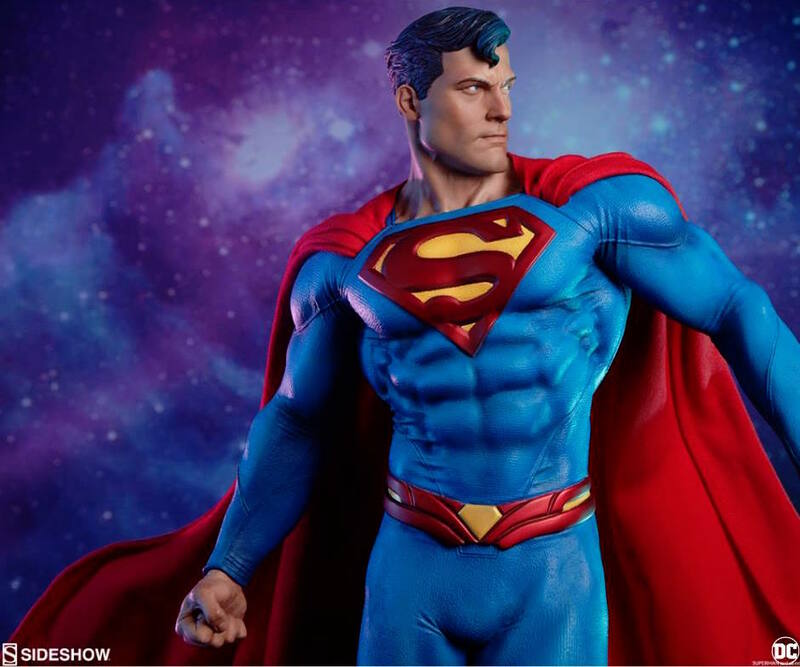 We have a huge team of very talented and passionate artists and designers supported by manufacturing, customer support, shipping… So many people work together to take a statue or a figure from a concept to a piece on your shelf. We’re all collectors and fans too, so we’re equally critical. I think our fellow collectors can tell that about us. Some of these statues might have taken literally YEARS of work before they are ever announced to the public. We’re incredibly invested artistically, emotionally, and financially in every piece, and we know how important that first impression is. When you finally get that shipper box, and open it… That’s every kid at Christmas, and that feeling never goes away. We want that moment to be pure joy. YouTube toy reviews are doing extremely well right now but they can also be harsh. How do you map out full digital marketing of your toys, or at least plan for it, from blogs to YouTube to social media? Collecting is all about passion. No one can love like a fan, and no one can hate like one either! One thing that’s wonderful about our industry is the community that has built up around it. It’s very vocal, very animated, and very passionate. Even the harshest critics are approaching this from a place of love. They want the same thing we do, that Christmas morning moment, right? We’re very active on social media, and we try to be more than just a notice board announcing new items. Engagement and discussion are very important to us. Fellow collectors can find us and chat with us pretty much everywhere. How are you going to make the toys connect with fans at your events this year? Conventions are always a big part of that connection. At San Diego Comic Con, for example, we bring in our artists, designers, and painters to chat with collectors and to talk to people about our work. We also display a mixture of in-stock items and future upcoming products, and we bring prototypes to these shows to share our visions and dreams. We also have a lot of multimedia content that we’re excited to share with our fans, from the mini-documentaries and product videos I described earlier to interactive content like live shows on social media, podcasts, and more. We’re going to be providing an even closer look into what it takes to bring each of these characters to life. What are the crazy and fun things you can’t believe have ever happened at any events you’ve done? Crazy, fun, and unbelievable pretty much sums up every comic convention I’ve ever attended! One of the coolest things is seeing cosplayers dressed as our versions of characters. That never stops being amazing. 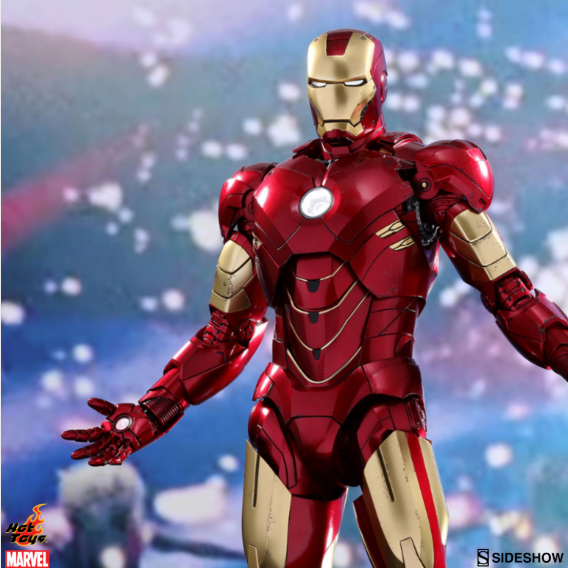 In many cases, our 1:4 scale Premium Format™ Figures and larger Legendary Scale™ Figures feature hand-tailored clothing. 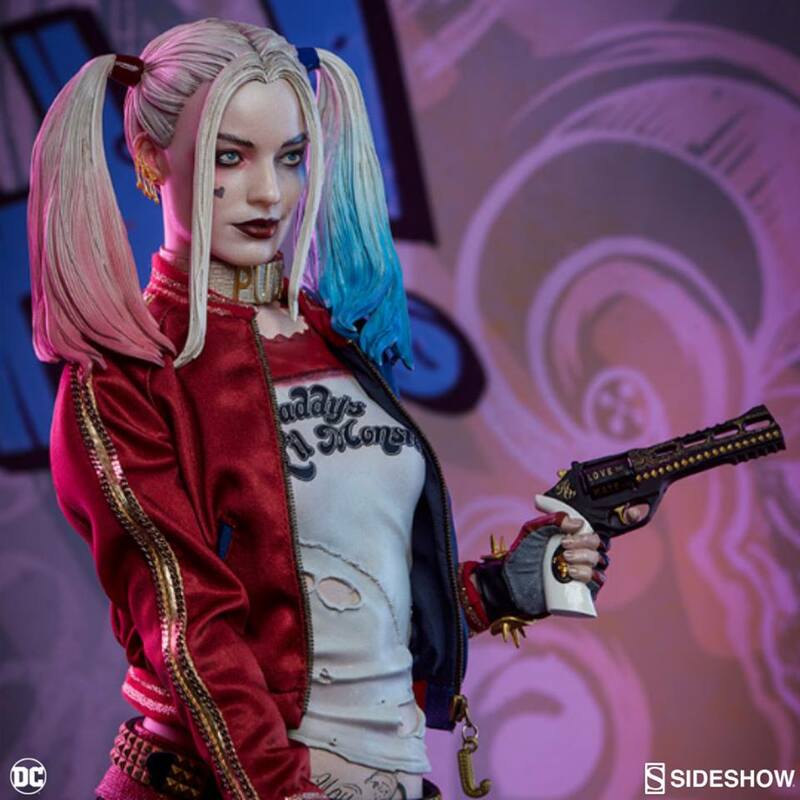 Members of our team have made these costumes in miniature, and it blows their minds when they see someone wearing their creations full-scale and in the flesh! 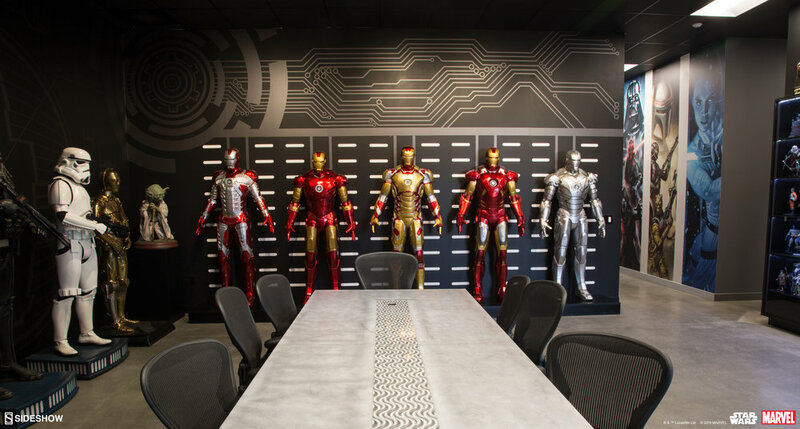 What makes you feel the most amazing about working at Sideshow Collectibles as your job? We have a strange, unusual, and wonderful little campus nestled among the hills out here in California. One of our visitors once described Sideshow as being “like Santa’s workshop, but with more monsters." We’ve created a unique space for our team to embrace their creativity, find the joy in every project, and be inspired to create art. We work with amazing companies and exciting licenses. We meet incredible characters and get to walk in their worlds. Like I said before, every new project is a passion project. There’s real love here for what we do, and that is always amazing! For more on Greg Anzalone and other amazing people in the film toy industry, read my article in this week’s issue of Variety.